One in a series of interviews with Modern Healthcare's Top 25 Women in Healthcare for 2017. Furst Group and NuBrick Partners, which comprise the companies of MPI, sponsor the awards. U.S. healthcare has more questions than answers right now, but Laura Kaiser doesn’t shy away from them. 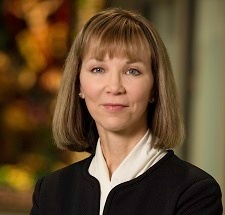 As the new president and CEO of SSM Health, Kaiser brings an impeccable resume back to her hometown of St. Louis, along with an inquisitive mind and a willingness to eschew the status quo. Kaiser has no problem saying that healthcare is a right, not a privilege, for all humans, a stance her faith-based system supports completely. A year and a half ago, Kaiser saw a different approach to healthcare during a fact-finding mission to Cuba, and she has been ruminating on it ever since. Kaiser discovered that physicians, nurses and statisticians are embedded in each community at a rate of about one for every 1,000 to 1,500 residents. And medicine is free, including insulin for people with diabetes. At the time of the trip, Kaiser was chief operating officer of Intermountain Healthcare, a Utah-based health system known far and wide for its quality. Earlier in her career, she spent 15 years with St. Louis-based Ascension, another health system with a stellar reputation. Now, in taking the helm as only the third CEO in SSM Health’s history, she has a similarly pristine heritage to draw from – SSM Health was the first health system to be awarded the prestigious Malcolm Baldrige National Quality Award in 2002. The answers that Kaiser and her team come up with should offer some interesting architecture for the future of SSM Health – and American healthcare. Much of the country’s healthcare spending occurs during the final weeks and months of patients’ lives. SSM Health President and CEO Laura Kaiser says that needs to be discussed openly and extensively. She saw great courage in her parents as they made difficult decisions at the end of their lives. Her parents’ bravery flows through Kaiser and gives her confidence while she confronts complex issues as one of the nation’s leading healthcare executives. Kaiser’s dad, a chemical engineer, was her first mentor about leadership. She has fond memories of him from her childhood, listening to classical music in the car while driving to the library together. They shared a love for the “Peanuts” cartoons – especially Lucy, seated in her counseling booth, offering a listening ear for five cents.